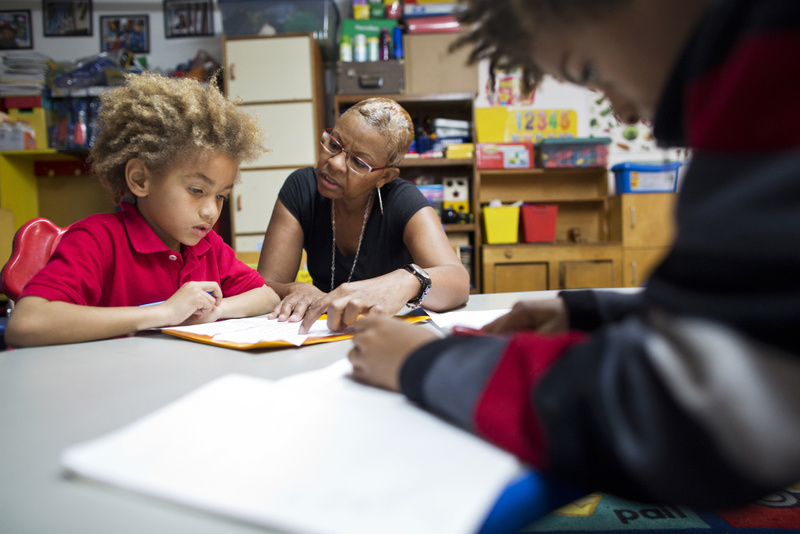 Tonia McMillian helps 7-year-old Jayden with his homework after school on Feb. 12. On average, American teenagers now spend about twice as much time on homework each day compared to students in the mid-1990’s. Researchers have conducted multiple studies looking into the impact of homework and its influence on students of all ages and backgrounds. A 2012 study found a positive link between time spent on homework and scores on standardized test scores, but “little correlation” between homework and high academic performance in science and math. Some teachers and schools have stopped assigning homework altogether, while others continue to assign it but in reduced amounts. Under pressure: should homework be abolished for elementary school students?